If someone’s been to Baja at least once in their life, they probably went to get shellfish in touristy Lobster Village. Mexico’s lobster tourism means inexpensive crustaceans that used to be fresh, but demand and out of season visitors has forced the village to bring in frozen lobsters from the U.S. Still, it’s hard to argue with a split lobster fried in lard served with fatty, creamy refried beans, Mexican rice, and homemade flour tortillas. And once you’ve run the gauntlet of lobster shills and carnival barkers and arrived at your restaurant of choice, there’s plenty of cold beer and live Norteño music to celebrate cheap lobster. Now the party has moved north to Long Beach, at chef Thomas Ortega’s newest project Playa Amor, where he is further exploring Alta California cuisine, AKA the original pocho fine dining that’s happening here in Southern California. Ortega first made his name at Redondo Beach’s Ortega 120, then later at his playful taqueria, Amor y Tacos in Cerritos, and now in Long Beach with a more ambitious menu of tacos, ceviches, and main dishes like Puerto Nuevo-style lobster. Baja’s famed dish is hard to find here in L.A. unless you found it at some sloppy Mexican seafood joint where you’d get a shell stuffed with mixed rubbery seafood and sautéed vegetables. But Lobster Village fans rejoice, because Playa Amor will reignite your love affair with Puerto Nuevo’s Lobster Village. Ortega deep fries fresh Maine lobster to just the right tenderness for easily tearing off chunks with a piece of flour tortilla; be sure to dip it in the beans, dab it in the rice and pour on a few drips of the melted butter. Make your own lobster burrito if you like, and don’t forget the michelada! This is one of the best lobster experiences in southern California and a stellar Baja-style lobster meal without the stuffed Doberman or the Al Capone silkscreen hustler blocking your path. 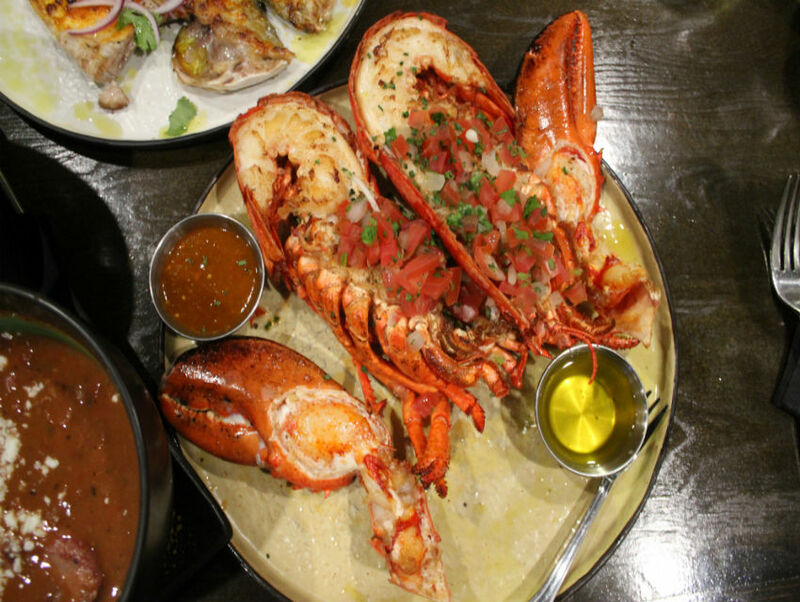 It’s Spring Break every night when there’s Puerto Nuevo style lobster on the menu.